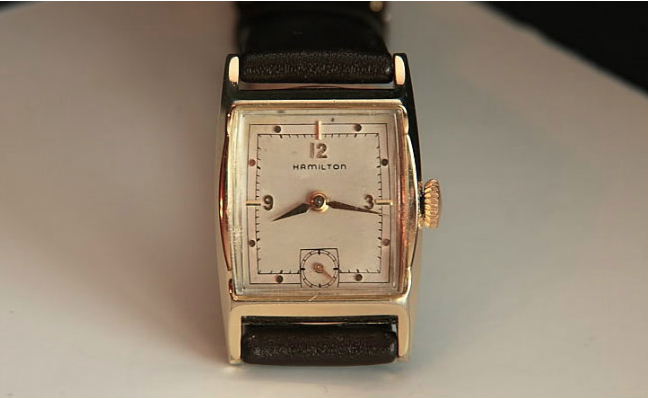 The 1951 Hamilton Kirby was produced for three years and is one of a few models that has a non-cataloged "B" model denoting a change in the movement. 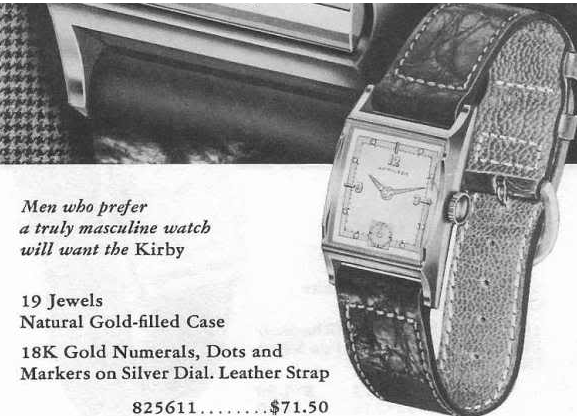 The Kirby came in a 14K yellow gold filled case with a sterling silver dial with solid gold numerals and dots. Under the dial is a 19 jewel 14/0 sized 982 movement in the 1951 and 1952 models. The Kirby B from 1953 featured the 12/0 sized replacement for the 982... the 753. The Kirby and Kirby B are identical except for the differences required to accommodate the differently shaped movements. Funny, my name is Kirby Hamilton (apparently there are a few of us around). I guess that I should look int getting me a Hamilton Kirby!